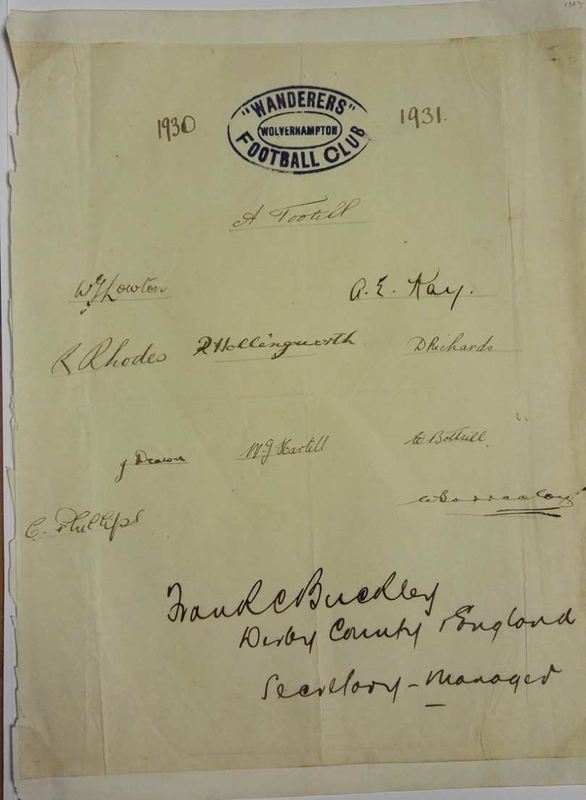 This item has been signed by the Wolverhampton Wanderers squad who finished 4th in the Second Division in 1930/31. Wolves were under the management of former army man Frank Buckley, who took over at the club in 1927 and stayed with them until 1944. Buckley spent most of his playing career with Derby County, and made one appearance for England in 1914. Although Buckley only experienced modest success when in charge of Wolves, he laid much of the foundations for their huge success in the 50s. He also famously told the press his players used a monkey gland treatment to aid performance, toying with the media at every opportunity.